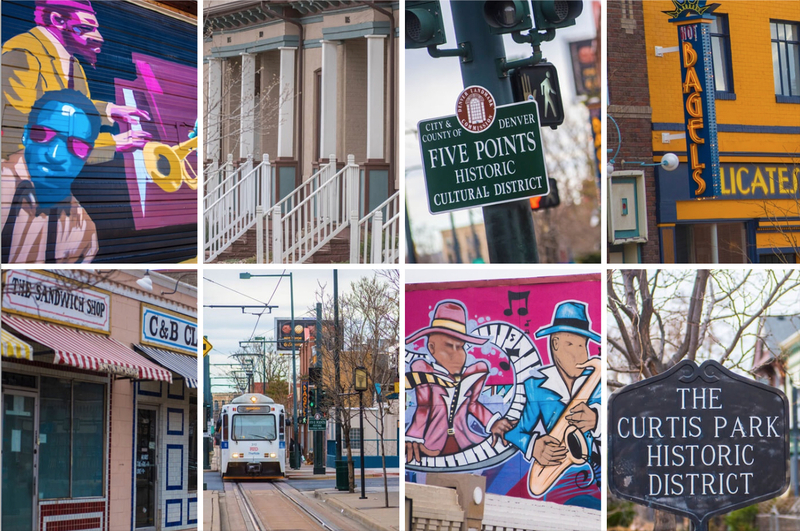 Throughout Denver’s illustrious history, Five Points has been a mecca of music, culture, and diversity. While the likes of Duke Wellington and Charlie Parker once frequented its historic Avenues, Five Points is now host to several cultural centers and institutions, including the Black American West Museum and Heritage Center, the Blair-Caldwell African American Research Library, and the Roundtree Arts Center. Originally created as a fashionable Denver suburb in the 1860s, this up-and-coming neighborhood is now considered almost an extension of Downtown Denver and is characterized by its shady streets. Take Martin Luther King Boulevard for quick access to the east side, a public pool, and a vibrant mixed-use district. With a variety of single-story duplexes, grand Victorian mansions, flat-roofed row-houses, and classic two-story Denver squares, Five Points has a residence style all its own. If you live here, you enjoy the emerging RiNo district, that shares Five Points’ northeast corners. RiNo is a once-industrial area that has experienced a boom in recent years, now offering a wide variety of hip restaurants, craft breweries, music venues and independent shops, sprinkled between the updated houses and new-build townhomes. Though decidedly urban, Five Points offers green as well; it is home to Denver’s very first public open space, Mestizo-Curtis Park. Don’t miss Juneteenth and the Five Points Jazz Festival—two of Denver’s liveliest festivals. Residents and visitors fill the streets with laughter, music, and dancing at the dawn of each summer. With open-air markets, funky multi-use retail spaces, and a renewed focus on both commercial and residential growth, Five Points is experiencing quite the revival.